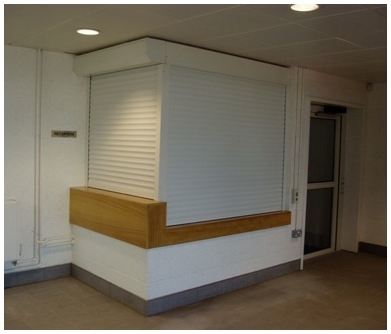 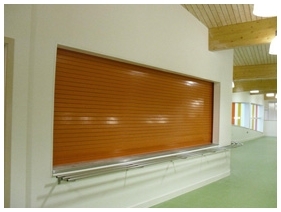 Our range of fire rated and security servery and door shutters can be specified to suit all types of servery and kitchen hatchway openings and meet all the necessary building regulations . 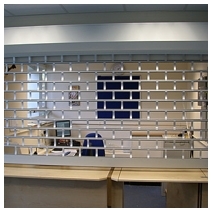 Fire ratings range from 30 minutes up to 4 hours. 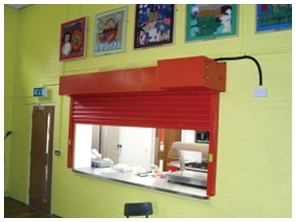 All materials can be powder coated in any RAL colour to suit the individual counter type, or decorative scheme and automatic activation in a fire situation can be via fusible link or fire alarm activated. 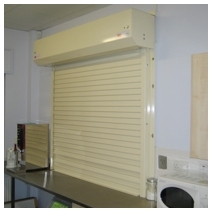 Option 1 – Manual Operation via a fusible link – Only closes when fusible link melts. 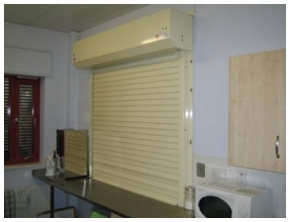 Option 2 – Electric Motor – Providing Automatic Activation in case of fire.